Artist's rendering of the Shops at Roosevelt Collection. 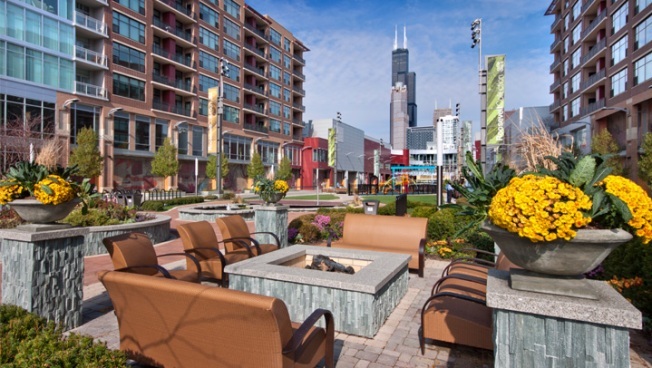 Consider it one more positive sign that the South Loop is bouncing back. The Shops at Roosevelt Collection, a 340,000 square foot property at Roosevelt and Wells has signed up its first round of retail tenants. According to Crain's, the newcomers include clothing stores H&M, Republic of Couture, White House | Black Market and Francesca's Collection, home goods retailer Z Gallerie, restaurants BlackFinn American Grill and Chica Loco and specialty stores Ulta Salon and Fleet Feet Sports. The development fell victim to the economic downturn in 2007 and was sold to a new owner. An ICON theatre has been the most visible tenant since the development opened. The shopping center offers 340,000 square feet of retail space, which is now a little more than 50 percent filled, according to Crain's.